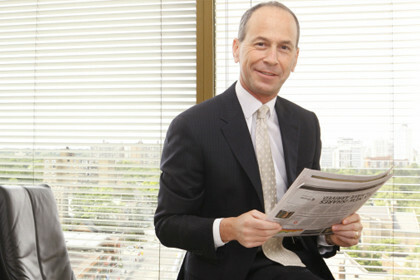 Soberman LLP has been in business for more than 50 years and has built a strong reputation offering specialized services in accounting, auditing, business advisory and corporate bankruptcy. The current goal of the IT team is to streamline PC management and establish a high standard of business continuity for the lowest cost possible, according to Sean- Jacob Peters, IT Manager, Soberman LLP. Soberman wanted to take advantage of the latest technologies to develop a more cost-effective and proactive PC management strategy. In order to maintain the level of service its clients have come to expect, the firm was looking for technologies that could best support its employees’ ability to get more done in less time. This included standardizing on a single operating system in order to improve manageability, centralize application deployment and better support office and remote workers. To address its computing needs, in 2010, the IT team at Soberman, working with Itergy, a Microsoft technology expert, initiated a test deployment using Windows 7 Enterprise. Soberman also deployed Microsoft® Application Virtualization (App-V)—part of the Microsoft® Desktop Optimization Pack (MDOP)—to help virtualize solutions such as Microsoft® Office 2010. As part of a new Windows Optimized Desktop management strategy, the firm is using MDOP to help reduce the cost of application deployment, to deliver applications as services and to manage desktop configurations. The company used the Microsoft Deployment Toolkit 2010 to help automate deployment of Windows 7 Enterprise, in combination with Windows Deployment Services, which enables remote deployment of the operating system over a network. Soberman has also deployed Windows Server® 2008 R2 so that employees can take advantage of DirectAccess, a new feature in Windows 7 Enterprise. Standardizing on Windows 7 Enterprise enables Soberman to manage application compatibility more efficiently—particularly for its accounting software applications previously running on different versions of the Windows operating system. App-V enables the IT team at Soberman to simplify application life cycle management by transforming the firm’s tax applications into centrally managed virtual services that are never installed and because of that don’t conflict with each other The virtualization capabilities of App-V help make it possible for Soberman staff to access their software and personal settings from any computer on the network, regardless of location. DirectAccess, employees will be able to securely connect to the company network via the Internet, rather than through a traditional virtual private network (VPN).